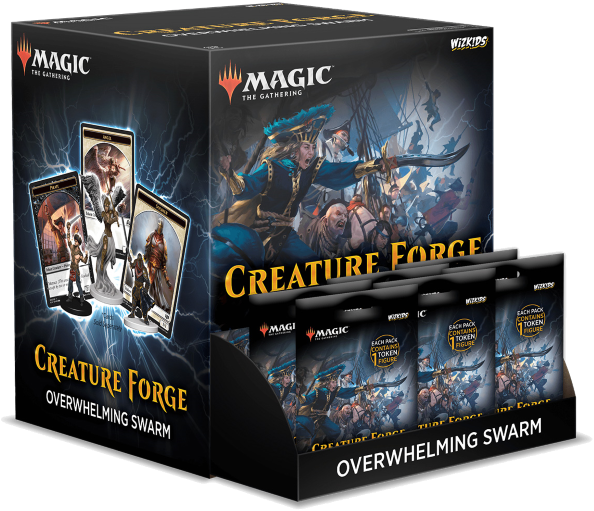 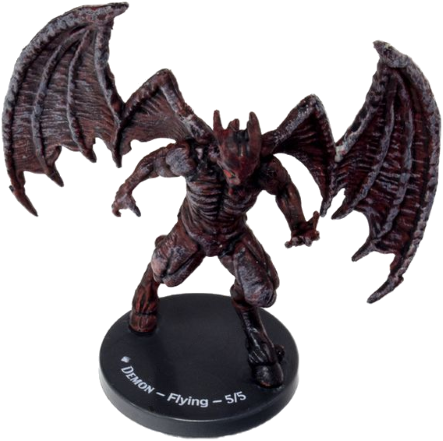 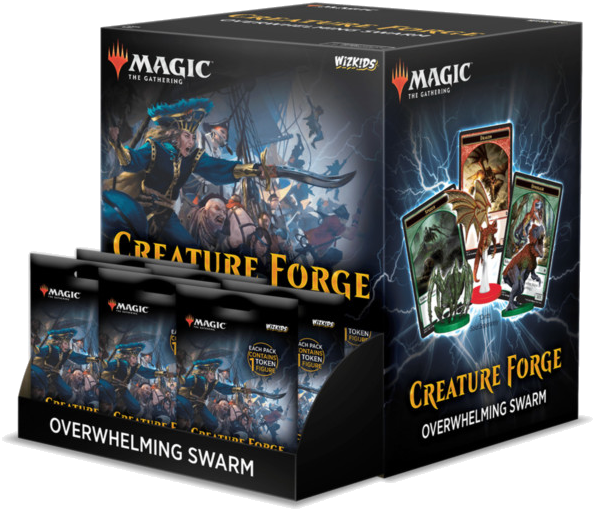 Measuring up to 55 mm in height, each highly detailed Creature Forge token figure comes with a base representing one of the five iconic colors that make the foundation of Magic’s mana system. 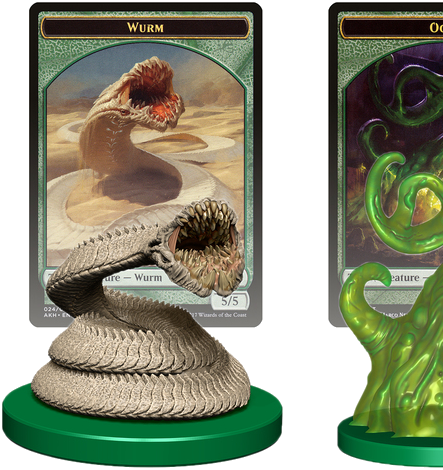 Mainstays like artifacts and multicolored creatures can also be found in the set, each with their own unique corresponding colored base with game stats also shown on the base. 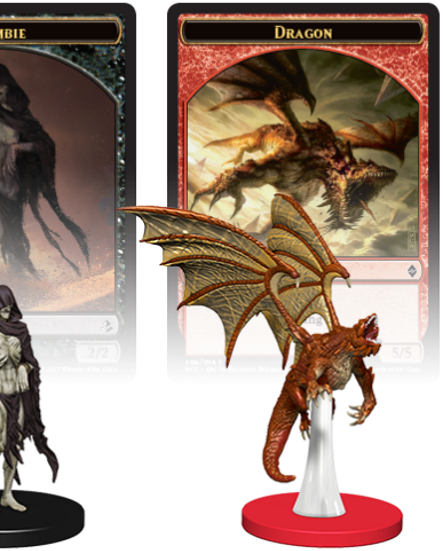 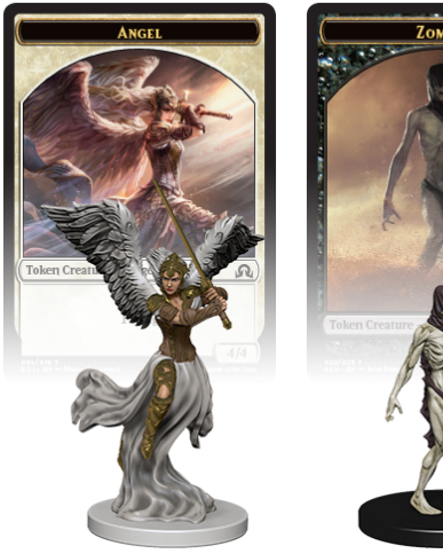 Collect well-known token creatures from Magic’s 25-year history, like the Angel, Dinosaur, Dragon, Ooze, Pirate, Saproling, Soldier, Spider, Wurm, Zombie, and more! 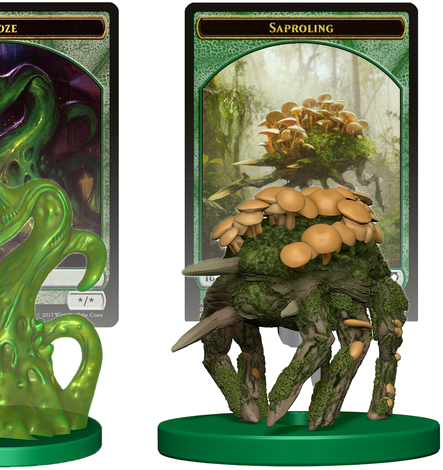 Many of the tokens include translucent parts, and all come as never-before-seen three-dimensional representations!